This post was published in 2012 and has been revised. When I first published it, I had very few readers. Charles, Duke of Orléans (24 November 1394, Paris – 5 January 1465), was among the victims of the Hundred Years’ War (1337 to 1453). Had Charles reigned, he would have been a Valois king, a cadet branch of the Bourbon kings. 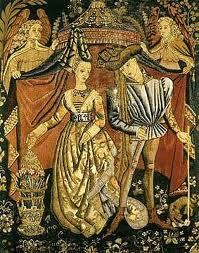 The Salic Law ended the Valois line as women could not accede to the throne of France. Charles’ son, Louis XII, orphaned at the age of three, would be King of France. Charles d’Orléans is associated with the lore about St Valentine’s Day or Valentine’s Day. He circulated in French courtly circles the Valentine stories told by Chaucer and Othon de Grandson‘s (FR, Wikipedia): birds, martyrs and a note signed “From your Valentine.” Coincidentally, his mother was named Valentina, Valentina Visconti. Her picture is featured below, mourning Louis. Charles d’Orléans is a fascinating and intriguing figure. He became Duke of Orléans at the early age of 13, when his father, Louis d’Orléans, was assassinated by men acting on behalf of the Duke of Burgundy, the opposing faction. Charles was an Armagnac and, therefore, a supporter of the House of Valois. 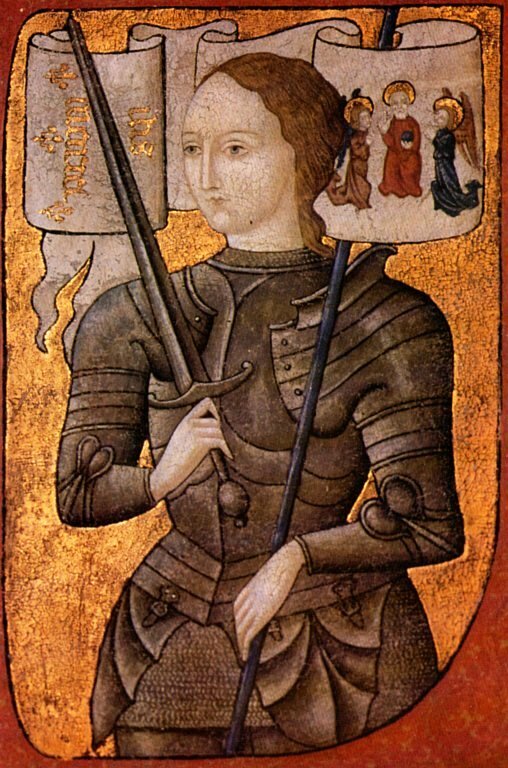 Joan of Arc was burned at the stake on 30 May 1431, during Charles’ imprisonment in England. 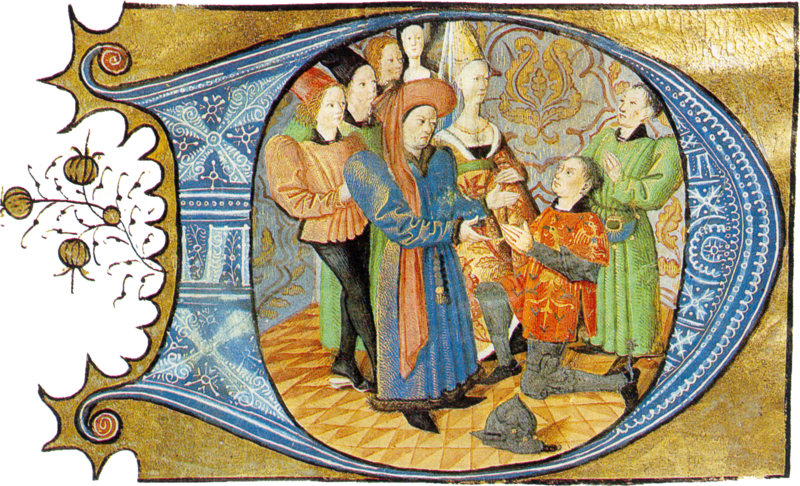 Because of her, a legitimate French king, Charles VII (22 February 1403 – 22 July 1461) ascended to the throne. He was crowned at Reims Cathedral. During his imprisonment, Charles was seldom behind bars, but housed quite comfortably in various castles. One of these was Wallingford Castle, a castle that belonged to Sir Richard Waller, who had captured him at the Battle of Agincourt (now Azincourt), an English victory and a key moment in the Hundred Years’ War (1337 to 1453). A very sincere and long-lasting friendship grew between Sir Waller and the Duke, who, upon his release, was very generous to his friend and jailor. In fact, Sir Richard Waller added the fleur-de-lis to the Waller Coat of Arms. Moreover, Charles was a relatively free prisoner, who frequently travelled to London, but never on his own. Yet, he was separated from his family and away from his native country for a very long time. Besides, he must have worried about the future. How could he tell whether or not he would one day return to France? 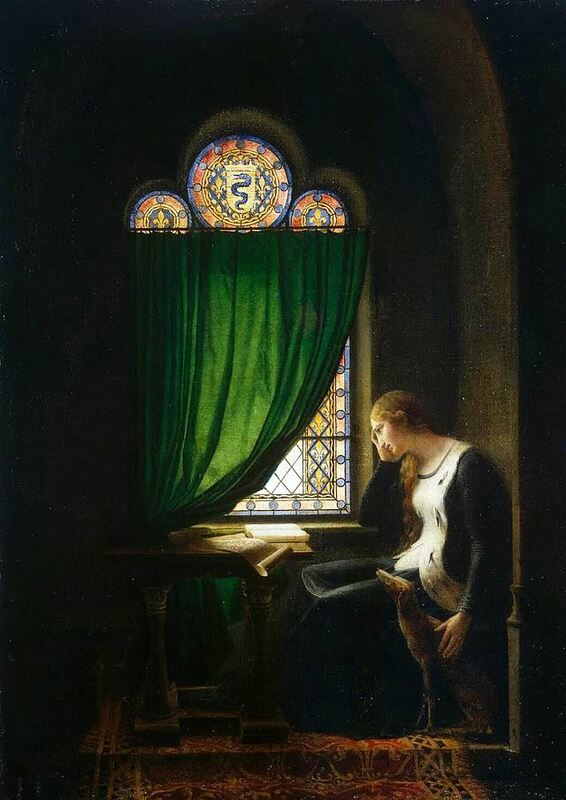 So Charles whiled away the years of his lengthy captivity writing poems and songs, which, I would suspect, helped him cope in his « Forêt de longue attente », to use his own words (The Forest of Long Awaiting, my very mediocre translation). It could be said, therefore, that he created for himself a “literary homeland,” and never left it. 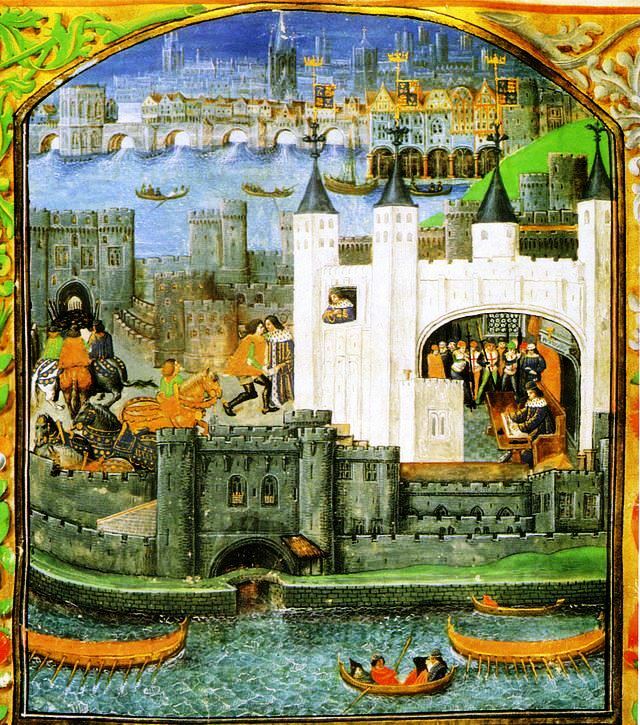 When he returned to France, he stayed at his castle in Blois and entertained poets. “You for me were born too late. Marie de Clèves, whom he loved dearly, bore him three children, one of whom would be Louis XII, King of France. Charles was 68 when his son was born. He had turned to poetry, but he was a “prince du sang” (a Prince of the Blood, i.e. a possible heir to the throne of France). So was his son. In England, Charles wrote ballades (ballads). In France, he wrote rondeaux and rondels. The rondeau however is also a musical form. At the end of En la forêt de longue attente, we find un envoi, a few lines of praise or homage, or a short conclusion. Charles d’Orléans’ Le Printemps, the most famous rondel in the French language, uses a refrain, repeated lines. Charles d’Orléans’ “Le Printemps” (spring time) is the best-known rondel in the French language. A rondel consists of 13 octosyllabic verses (8 syllables). The translation, not mine, is literal. There are more lyrical translations. De soleil luisant, clair et beau. Gleaming sunshine, bright and beautiful. “Le temps a laissé son manteau! “The season removed his coat. Le temps a laissé son manteau. The season removed his coat. So the story of Charles d’Orléans is a story of survival. During his years of exile, he found a refuge in poetry. He wrote Ballades, rondeaux mainly, but also composed songs and wrote lays (lais) and complaints (complaintes). His poetry is characterized by melancholy, yet it reveals a sense of humour. Consider Charles’ legacy. Yes, his son would be King of France, Louis XII. But I am thinking of Charles d’Orléans’ poems and songs. Charles d’Orléans lived five hundred years ago, but we still read his poems. He is therefore alive and linked to the lore of St Valentine’s Day. “Charles, duc d’Orleans”. Encyclopædia Britannica. Encyclopædia Britannica Online. Together with the ballade and the virelai, it [the rondeau] was considered one of the three formes fixes, and one of the verse forms in France most commonly set to music between the late 13th and the 15th centuries. It is structured around a fixed pattern of repetition of material involving a refrain.